Leading Exporter of voltaren retard, paliperidone injection, anti ulcerant tablet, simethicone and liver capsule from Nagpur. 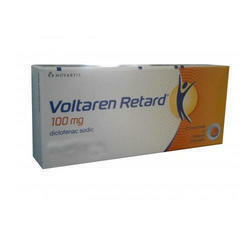 Voltaren is a nonsteroidal anti-inflammatory drug. Diclofenac works by reducing substances in the body cause pain and inflammation. 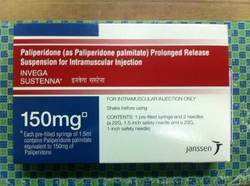 Paliperidone belongs to the class of medications called antipsychotics. 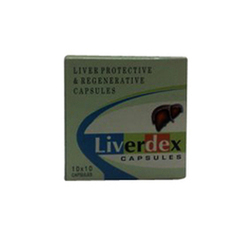 It is used to control the symptoms of schizophrenia and related psychotic disorders. Paliperidone works by readjusting the balance of chemicals in the brain that are involved in schizophrenia. Mesalazine also known as Mesalamine, is an anti-inflammatory drug used to treat inflammation of the digestive tract ulcerative colitis and mild to moderate Crohn's disease. 5-ASA produces this effect at least partly through modulation of the endocannabinoid system by means of elevating anandamide levels in the gut. Mesalazine is a bowel-specific drug that acts locally in the gut and has its predominant actions there, thereby having few systemic side effects. As a derivative of salicylic acid, 5-ASA is also an antioxidant that traps free radicals, which are potentially damaging byproducts of metabolism. 5-ASA is considered the active moiety of sulfasalazine, which is metabolized to it. Medication is an oral anti-foaming agent, prescribed for flatulence. It works by breaking up gas bubbles, which makes gas easier to eliminate. It prevents formation and eases expulsion of gas.